Home / Posts tagged "halloumi"
I was recently invited by Maille, the famous French gourmet brand to enter the Maille Culinary Challenge and develop recipes using a couple of their products. 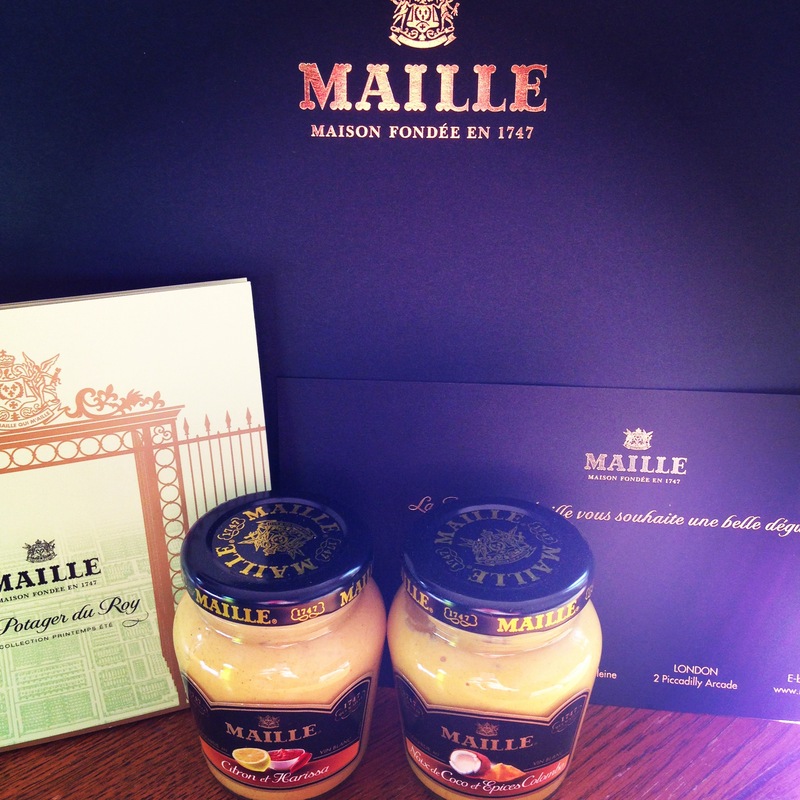 I love Maille mustard and was delighted with the opportunity to experiment with flavours. I chose Citron et Harissa (White Wine, Lemon & Harissa Spicy Mustard)and Noix de Coco et Epices Colombo (White Wine, Coconut and Colombo Spices) as my spicy mustard weapons. Today’s recipe uses the Maille Citron et Harissa mustard. Harissa is a spicy red pepper paste commonly used in North African cooking. 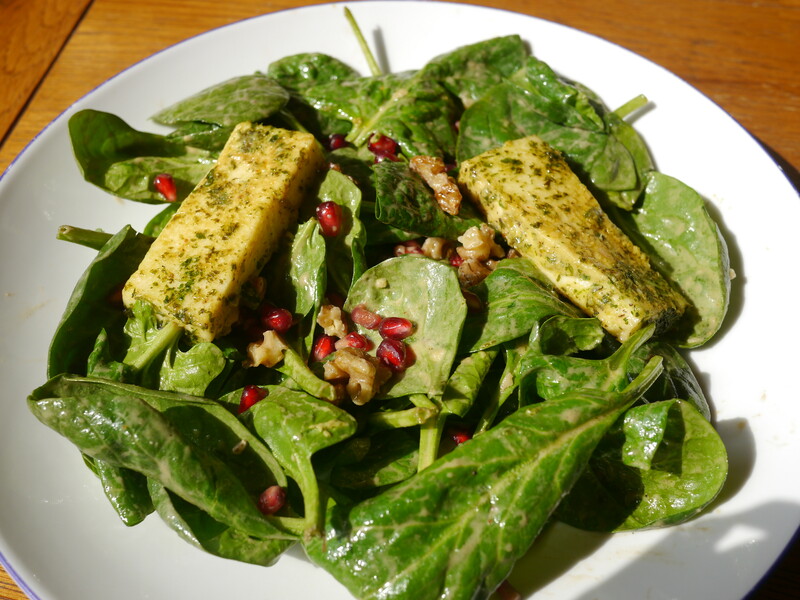 My colourful salad is a tasty marriage of flavours and textures with the marinated cheese, tangy pomegranate, walnuts and of course, the Maille Harissa mustard dressing. If you are following me on Twitter, then you are witness to my current tartine obsession. I’ve tried all sorts of toppings from smoked salmon and dill to hummus and white beans and chicken and mustard. I can’t get enough of the endless possibilities. A tartine is basically a French open-faced sandwich.This bright and cheerful tartine I made a few days ago makes a perfect lunch for a sunny day. 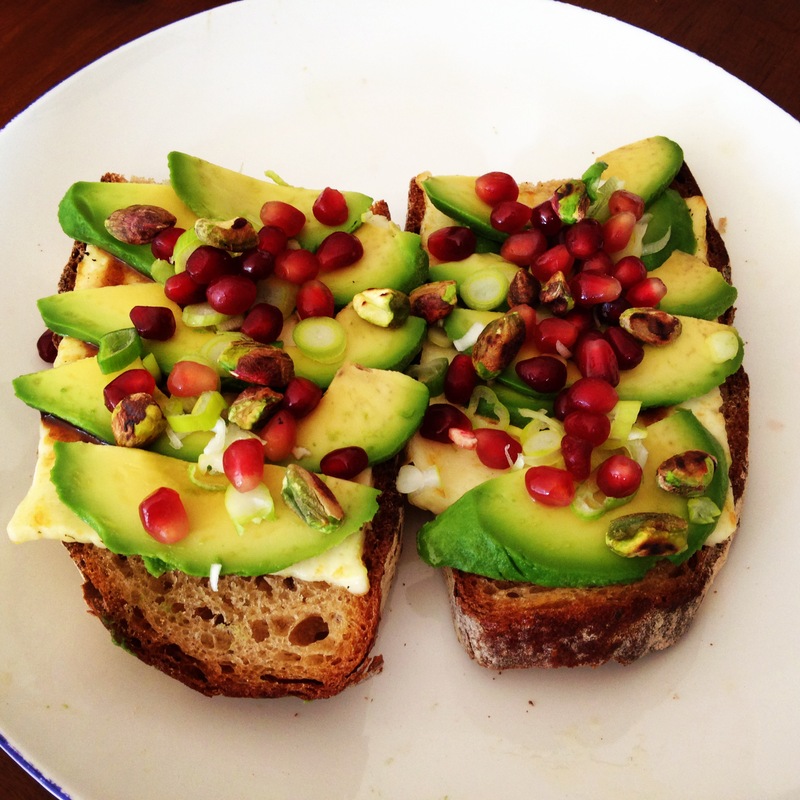 The avocado and grilled halloumi cheese go beautifully with the tangy pomegranate molasses while the pomegranate and pistachio give a sweet crunch.